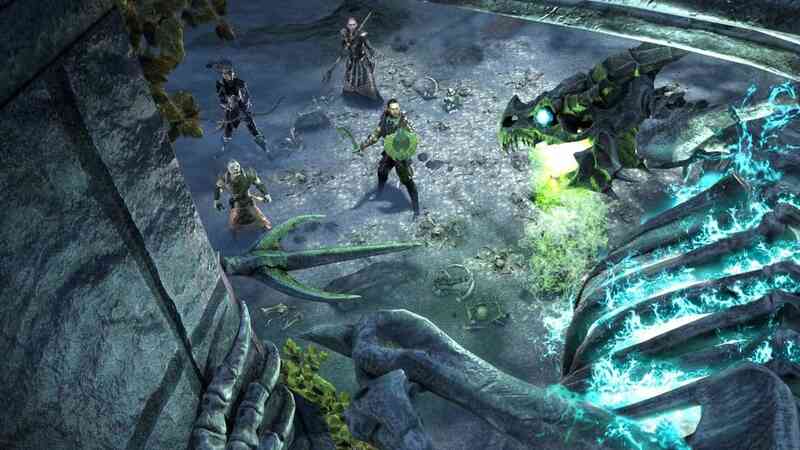 An ancient power re-awakens and threatens all of Tamriel in The Elder Scrolls Online’s newest DLC game pack, Dragon Bones. This February, you can discover two exciting new dungeons and enjoy a host of base-game additions and improvements with Update 17. Both Scalecaller Peak and Fang Lair will be available in normal and veteran modes, and they will include a veteran Hard Mode for the final boss. Those brave enough to explore these new dungeons shall be rewarded with new items and monster sets, collectibles, and achievements. And as an added bonus, the moment you set foot in either of these new dungeons, you’ll receive the Renegade Dragon Priest Mask, completely free. Just because you’re exploring the cavernous depths of a long-forgotten ruin doesn’t mean you shouldn’t look your best! 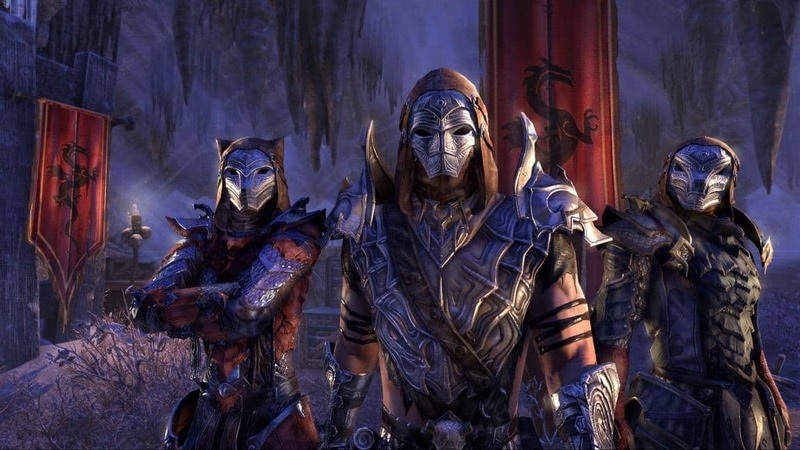 With Update 17, the Outfit System comes to The Elder Scrolls Online base game. This new system will allow you to tailor virtually every aspect of your appearance, regardless of the gear you have equipped. 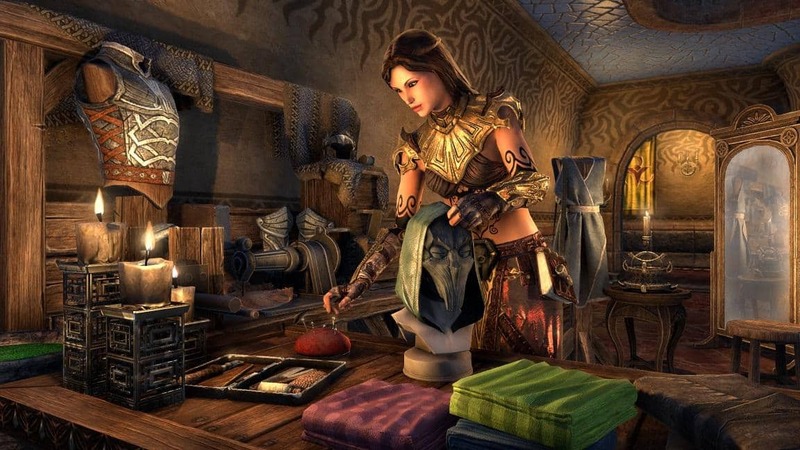 You will have access to one unique outfit that you can customize using gold, but you will also be able to acquire Outfit Change Tokens and additional Outfit Slots from the Crown Store, allowing you to have a variety of outfits ready to go at a moment’s notice. With Update 17, we’re introducing the new Level Up Advisor system and Skills Advisor tool. These new features help you make wiser, more engaging decisions about character advancement and provide you with suggestions on your character’s build and use of gameplay mechanics. With the Level Up Advisor, every time one of your characters gains a level, you will receive gameplay tips and useful rewards. These rewards will include gold, crafting materials, and consumables, and certain key leveling milestones will even reward you with a new mount or a Crown Crate! With the Skills Advisor tool, you’ll also be able to get more information on the many options available for your character’s Skills, Abilities, and use of certain in-game mechanics. 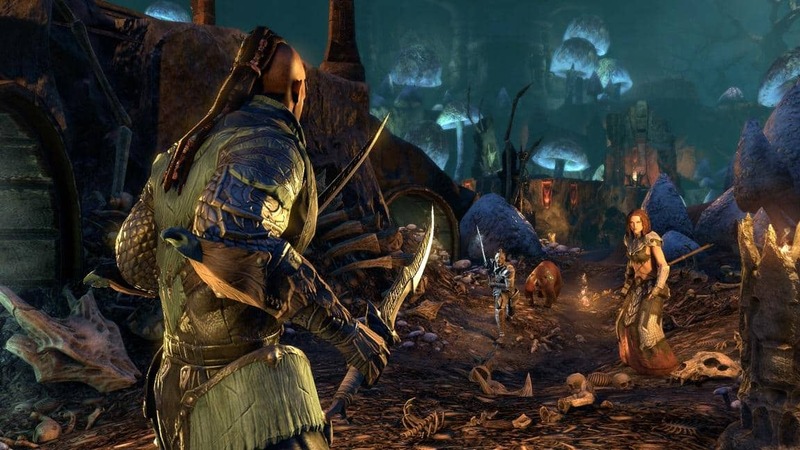 If you are new or unfamiliar with aspects of ESO‘s advancement system, these two additions will help give you a better understanding of the choices available to you as you level up your characters. 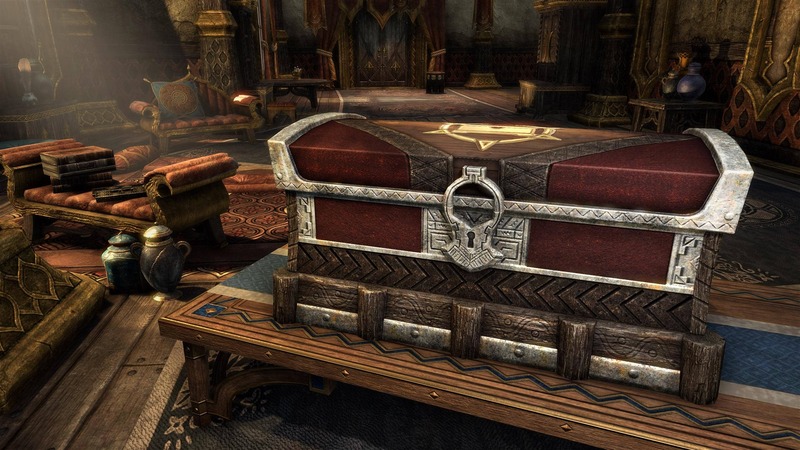 Since last year’s Homestead update, we’ve received a lot of requests from players who want to store items within their homes. We’re happy to announce that we’re introducing home storage with Update 17! This update will allow you to acquire unique collectibles that you can use to store items in your homes, freeing up valuable inventory and bank space. You’ll be able to acquire these new items in game or from the Crown Store. Finally, we’re making a host of changes and improvements to some of the game’s combat mechanics, including making it easier to identify and activate ability synergies. For more information on all of these changes and improvements, check out Update 17 for yourself when it and the Dragon BonesDLC game pack goes live on our Public Test Server (PTS) next week! Once it is live on the PTS, look for the patch notes in the PTS forums. If you enjoy the fast-paced PvP action of Battlegrounds, you’ll want to check out the two new maps for the 4v4v4 game mode that are sure to challenge and excite. Whether you’re a veteran dungeon delver looking for a challenge, a PvP warrior longing for new Battlegrounds to conquer, or a role-player seeking a stylish new look for every occasion, there’s something for everyone in this latest update. Are you excited for what’s coming in the Dragon BonesDLC game pack and Update 17? Let us know on Twitter @ TESOnline and Facebook, and be sure keep an eye out for more information Dragon Bones and Update 17 in the future! Previous Entry Review: Fallen: A2P Protocol for ps4. Next Entry Review: Xenon Valkyrie+ for PS Vita.